The former motivates the use of space-based facilities. While the necessary mission — Euclid — is currently in the planning stages, the cost (billions of US dollars) and time-frame (multiple decades) of space missions can be prohibitive. 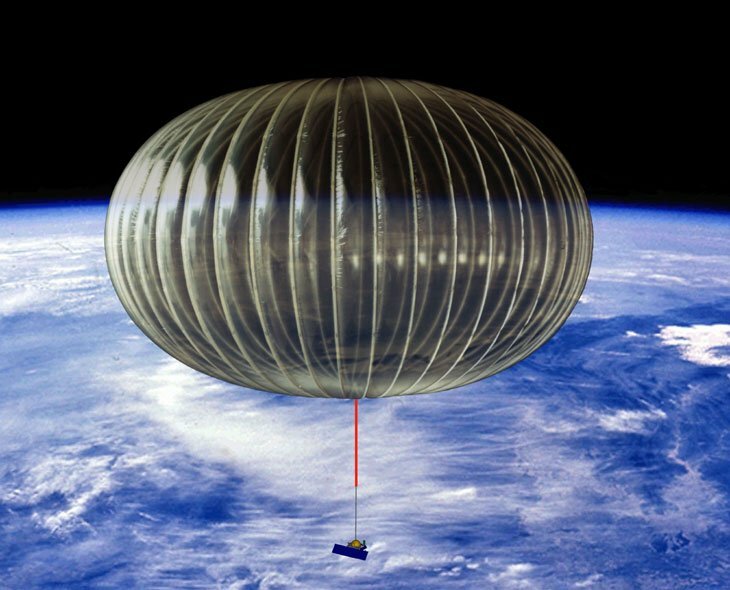 However, we found a way to get near-space quality optical astronomical imaging for 1-2% the cost of a space mission by using Ultra-Long Duration Balloon (ULDB) flights. These balloons fly above 99% of the atmosphere, and thus the resulting images do not have the smearing associated with atmospheric “seeing.” The resulting mission concept is called the High Altitude Lensing Observatory (HALO). 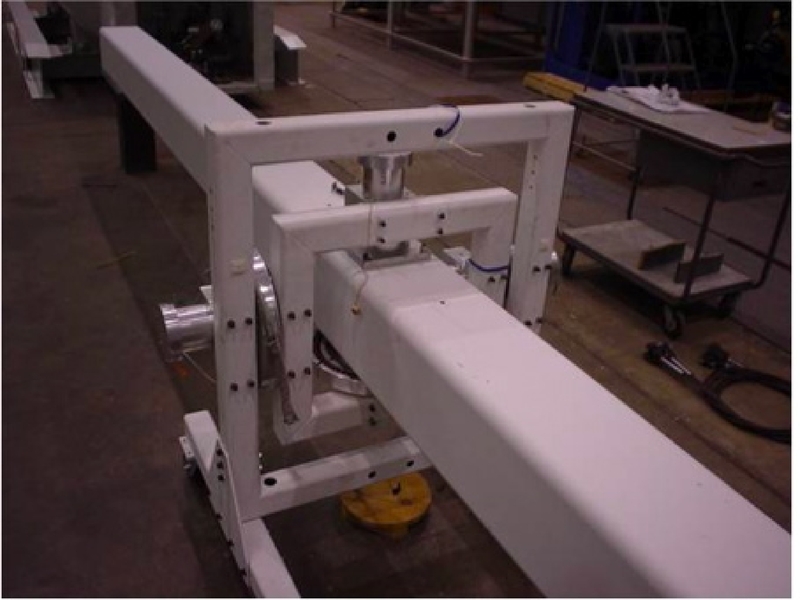 The Wallops Arc-Second Pointing system in a laboratory test with a mock telescope. Key to making this mission concept possible is the two-stage pointing stability system, as any errors in pointing of the telescope will translate into image smearing. The gondola has a course azimuth control system that has been tested in the laboratory (see picture on left). The fine-guidance stage consists of an angular rate sensor and extra guide CCDs in the focal plane to drive a fast-steering mirror. This system can provide the pointing stability necessary for weak lensing images by tracking faint guide stars. As a central and founding member of the HALO team, my job was to simulate the expected data set. I did this by taking the shapelets-based image simulation pipeline and adding a simulation of upper-atmospheric emission based on data from the UVES sky emission survey. 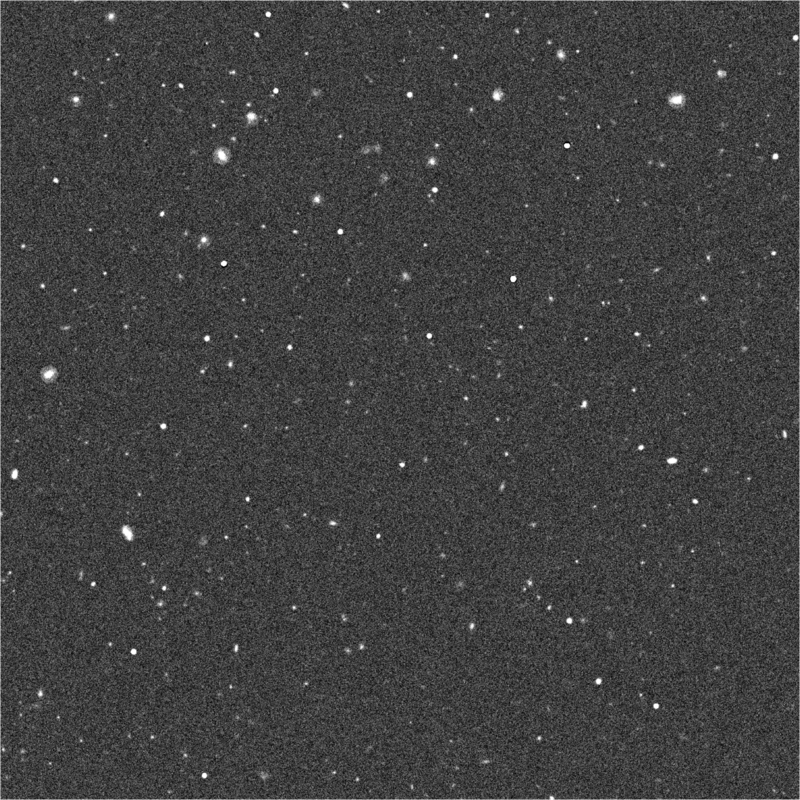 I then used simulated images to determine key aspects of the HALO observing strategy, including the optical filter that maximizes the number density of visible galaxies on the sky and thus the survey’s statistical potential. Rhodes et al. (2012). Published in Astroparticle Physics.